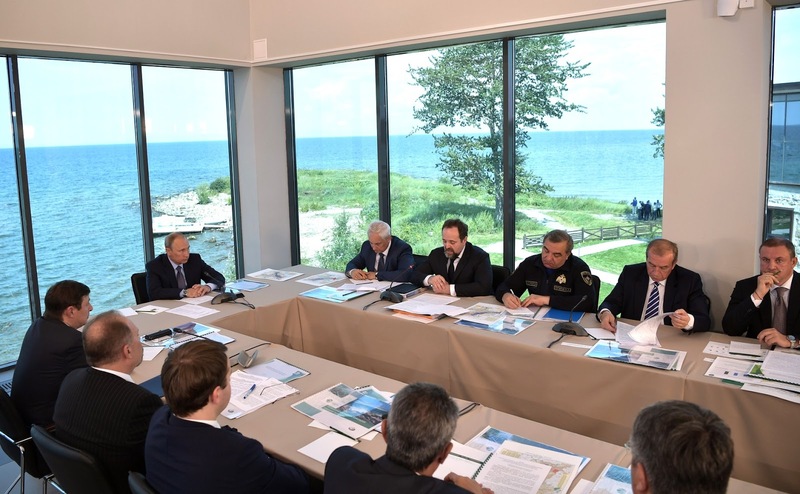 Putin held a meeting on development of Baikal natural area. Putin.BLOG Environment Regions Putin held a meeting on development of Baikal natural area. 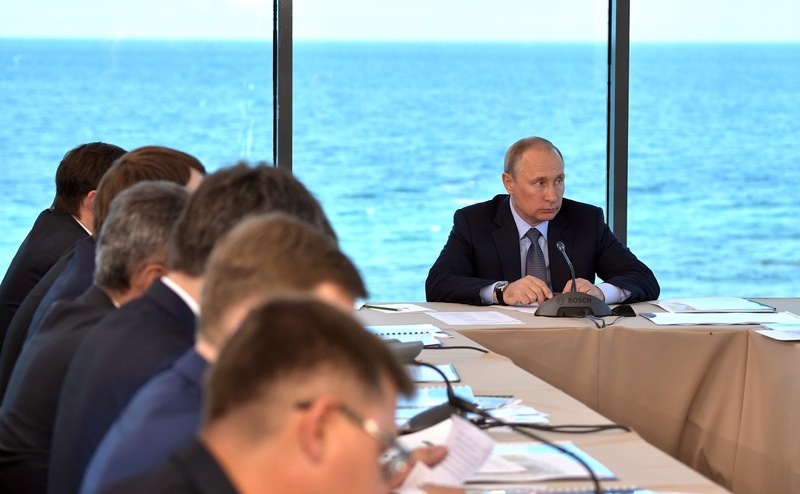 Excerpts from the transcript of the meeting on the development of the Baikal natural area. Today we will discuss the issue that we have addressed multiple times, which, however, does not diminish its relevance. We will discuss Baikal and the environmental development of the Baikal nature area. This territory is, without any doubt, unique, and we all know it very well. It is not only the legacy of our country but, without any exaggeration, the legacy of the entire planet. Baikal is our pride and a great responsibility. Its conservation for the present and future generations is unquestionably a state priority. Cleaning up the aftermath of irrational and often irresponsible economic activity in these areas requires particular attention – first, to prevent anything similar from happening in the future, and second, to minimize the accumulated effect. All this requires our close attention and, of course, substantial financial resources. Meeting on development of Baikal natural area. Large parts of the Baikal area have been extremely contaminated. Even now that the Baikal pulp and paper mill and the Dzhidinsky tungsten and molybdenum plant have been closed for several years, the accumulated waste continues to pollute the water in the lake and the rivers flowing into it. The first task that requires immediate action is to eliminate the environmental damage and to carry out full reclamation of the contaminated areas. Please determine the sources of funding, plans and responsible parties. In addition, it is necessary to look into the facilities that continue operation. Most of them have worn-out waste treatment facilities and the housing and utilities infrastructure accounts for over 60 percent of the contaminated discharge. Unfortunately, we have to mention the local agricultural facilities as well. After all, one way or another, agricultural chemical waste makes its way into Baikal and local rivers. We must reduce the amount of untreated water discharged into the lake, there is no question about it. This brings us to the second task, which is to upgrade the utilities infrastructure, fast and in a quality manner. It is the regions’ responsibility, and they can rely on the federal government’s effective support, including the federal targeted program, Protection of Lake Baikal and Socioeconomic Development of the Baikal Natural Area in 2012–2020. Dozens of wastewater facilities and solid household waste landfills have been built under the program. Consistent measures are being taken against wildfires and poaching. The program contributes to preservation of the local ecosystem, rare animals and plants. Over 2012–2016, more than 10 billion rubles were allocated – although I should add that the plan was to provide even more. I believe it is necessary to consider extending the program and particularly focus on the spending efficiency and priority expenses. The third task is to ensure environmental development of the Baikal natural area in general. Above all, this means a harmonious, rational balance between socioeconomic development, socioeconomic interest and wildlife conservation. Relatively speaking, this problem is very acute in all civilized countries and there are many good and not so good examples of how this problem is resolved. Baikal’s special status places greater demands on any economic activity, which often results in clearly excessive restrictions and we must not forget about this. These restrictions may directly affect the quality of life and the development of local residential areas, hold back businesses and, therefore, the creation of jobs and revenues to the local budgets. Let's discuss all the factors associated with the special regime of the lake’s protection, and together we will determine the best solutions to the problems of environmental and socioeconomic development of the Baikal area. At the same time, it is of fundamental importance to prevent an increase in the man-induced impact on the Baikal ecosystem. This certainly applies to the tourism industry. We have just discussed this with the region’s Governor. Of course, this is a very promising branch of the regional economy – it is interesting and generates revenue and creates jobs. Russian and foreign tourists’ interest in Baikal is constantly growing. Up to a million people visit Lake Baikal every year. But there is a reverse side of this generally positive factor: it brings new problems. The lack of control over backpacking and camping leads to spontaneous landfills on the shore and debris in the water bodies. As for travel agents, their desire to take advantage of the growing demand for Baikal travel often prods them to ignore environmental requirements. These issues certainly need to be dealt with closely. We need to stimulate businesses’ environmental responsibility, for example work out arrangements for co-financing of environmental projects. Special attention should be paid to the development of tight control systems. In this connection, I ask the Prosecutor General’s Office to check the Baikal area for cases of illegal and environmentally harmful activities. I would like to emphasize this: you do not have to check everything, one must certainly know when to stop, but to spot illegal and environmentally harmful activity. And to take appropriate action. A key role here is assigned to inspectors of specially protected natural areas. Mr. Vasily Sutula [director of the Baikal State Nature Biosphere Reserve] has just told us how people work – not only people in the civil service, but also volunteers, for which they are especially thankful. They must have sufficient resources for their work. I am not only talking about administrative support, but also about good compensation, necessary equipment, gear, and so on. Let's look at all these issues together. Vladimir Putin at a meeting on development of Baikal natural area. We need to consult the Finance Ministry. I will not say anything new here: there are all sorts of ideas, such as channeling part of the collected fines and charges directly to the nature reserves and national parks and using these funds to improve their development and protection. Here I would like to draw your attention to our location. The Baikal Reserve visitor center is a very good example of combining the tasks of protecting natural areas and developing civilized eco-tourism. This experience should be widely disseminated and popularized, also as part of the Year of the Environment project underway in Russia, as you must know. The visitor center employees are real professionals and sincerely dedicated people, and I would like to thank you again, Mr. Sutula, and all your colleagues. Let's move on to the discussion. And now let us hear from Minister of Natural Resources and Environment Sergei Donskoy. Mr. Donskoy, you have the floor. Let me briefly speak on the environmental situation at the Lake Baikal UNESCO World Heritage Site. 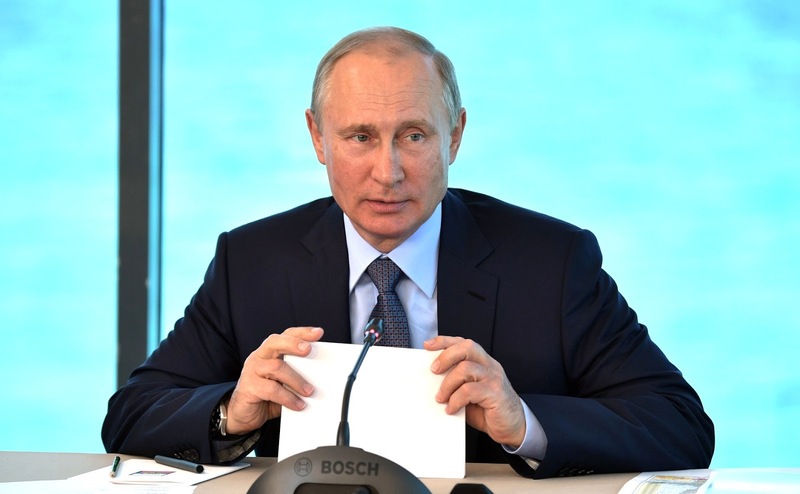 In general terms, I should say that the environmental situation in the region has stabilized after the closing of the Baikal pulp and paper plant. In particular, air emissions in the Baikal natural area have fallen by 15 percent during the last four years and more than twice in the central environmental zone. Sewage discharges into the lake have gone down by more than 80 percent. But at the moment, a number of issues you mentioned still remain; in particular, lake contamination with liquid and solid utility waste. There is also the problem of cumulative environmental damage, including the pulp and paper plant’s industrial site, which I will speak about later. So, the priorities of our activity within the framework of Lake Baikal protection and the environmental development of the area are cleaning up cumulative environmental damage, effective waste disposal and reducing sewage contamination of the lake. It is also important to ensure forest preservation, wildlife conservation and development of special protection areas. The main environmental development tool is the Protection of Lake Baikal and Socioeconomic Development of the Baikal Natural Area federal targeted program, adopted in 2012. At the moment, the total financing of this program in 2012–2020 is around 26 billion rubles. It was 58 billion rubles at first, so it was cut by more than half. Taking that into account, we are now revising our project based on our priorities. Implementing the unified local waste management plan will probably become a part of the federal targeted program. Now the document stipulates establishing 20 disposal sites in the Republic of Buryatia and 11 disposal sites in the Irkutsk Region. At the moment, two facilities are completed in Buryatia and one is still under construction. One facility is completed and one under construction in the Irkutsk Region. President Putin at a meeting on development of Baikal natural area. But there should be a public hearing on the waste management plan. The draft law stipulating that such a procedure should be mandatory across the country has been designed and introduced to the Government. We are planning to adopt it during the autumn session. Also, an effective tool to combat illegal dumps – the Our Nature system of electronic public oversight – was launched in Baikal. The main purpose of these innovations is to involve people in the detection and prevention of violations in the field of environmental protection. Today, there is a public inquiry for this. You could learn this from the volunteers you met with today. As for forests. The main goal is to ensure forest conservation and regeneration. Over the past two years, the volume of forest regeneration has increased by 1.5 times up to 41,000 hectares. But we think that the volume should at least double. One of the constraints today is the lack of quality planting material. In this regard, we plan to implement a project for the construction of forest seed production centers as part of a public-private partnership, which can provide up to 10 million seedlings a year. This will allow us to step up work on forest restoration. An additional factor should be the adoption this year of a law on compensatory forest restoration this autumn. The following rule will be introduced: if you cut down a certain number of trees, you must plant the same number. This refers to all sites. In addition, today there is a legislative ban on sanitation tree cutting in the burnt areas of the central environmental zone of Lake Baikal, so we have drafted an appropriate bill; it has been coordinated and will be submitted to the Government in the near future. All bills, as I said, should be approved in the autumn session. To this end, we are working with the State Duma now: it is ready to adopt everything this year. We also made changes to the principle of distributing forest subventions, including an increase in funding for the regions of Siberia and the Far East in 2018, focusing on financing both forest restoration and other activities in the forestry sector, including an increase in spending for the Baikal Region by 20 percent. I hate to say it, but poaching is still one of the main risks for the biological diversity of Lake Baikal. Draft laws have already been prepared, and we think they may be adopted in the autumn session. To illustrate the effect of poaching, I will give the example of the Baikal omul population decline. Today we released omul fry and spoke with our colleagues. They said the omul population has decreased practically four times in the past decade. Now the spawning population is two times smaller than the average figures for many previous years. It is necessary to release more omul fry. The federal targeted program provides for the reconstruction of three outdated fish factories of the Federal Agency for Fishery, which will also allow us to release more omul. However, a ban on fishing and an increase in artificial reproduction may produce no results. We believe it will be difficult to achieve results if the current level of poaching and uncontrolled sale of illegal products, including caviar, stays the same. Therefore, the region should establish a system of supervision over the omul turnover. This is also one of the key tasks. A few words about Baikal protected natural areas. You have already been told today that this is the place where the first nature reserve was created a hundred years ago. We will celebrate this anniversary this year. Practically one-tenth of all federal protected natural areas are located within the Baikal natural area, and it is clear why. The recreation potential of national parks is particularly important for Baikal because parks form the main trend for regulated, eco-responsible and educational tourism. We think its development will have a multiplying effect by creating additional jobs, which will also work as an anti-poaching measure. By the way, this is why we launched the Year of the Environment and specially protected natural areas by opening the unique visitor center where we are now. If we are talking in the scope of the entire country, this year the Government has adopted the Russia’s Wildlife: Protect and Appreciate priority project. It concentrates all the main ecotourism development areas, including ecotourism at Lake Baikal. These programs’ implementation will use the public-private partnership mechanism, involving operators with international experience in carrying out complex development projects. We believe that Baikal’s recreation potential – we have already talked about it – is measured in millions of tourists per year, with us ensuring strict compliance with the environmental restrictions. This is what the priority project envisages. In conclusion, I would like to say that we should continue intense work on all our priority areas of activity. We understand that Baikal’s value is timeless, and we should do everything to preserve it for our future generations. The main results of the measures and the area of activity we are planning to implement under the federal targeted program are listed on the slide, so I will not go through them. One of the key elements of what we would also like to ask for is to reinstate the original financing of the federal targeted program, because it is an important tool necessary to implement all the measures planned in the Baikal natural area, as well as to extend it until 2030. Of course, there is much work to do, and now it is effective until 2020, a short term. We need additional time to implement all these projects. I ask for your support. Of course, here at Baikal we cannot but remember that this is where our nature conservation efforts started, in the Barguzinsky Nature Reserve, 100 years ago. This year Russia marks the 100th anniversary of its nature reserve system. Perhaps this is the main topic I would like to address. Mr. President, in 2014, you issued instructions to the Government to adopt a federal law toughening the legal regulation of state nature reserves and national parks, including the ban on seizing land plots and forest areas located within protected natural areas and ban on changing their designated purpose. I have to inform you that, unfortunately, these instructions have not been fulfilled. Moreover, in 2016, a federal law was passed that allows construction at the so-called allocated biosphere grounds in the national reserves. This decision has not been put in practice anywhere so far but, unfortunately, the law provides an opportunity for such construction. My understanding is that it has something to do with different ideas about tourism, which I think anyone involved in nature conservation sees as a generally useful and beneficial activity. However, there are different types of tourism. For some, tourism means camping, backpacking and wildlife. For others, it is a five-star resort with a swimming pool, spa and so on. Perhaps, it is time we put an end to this misunderstanding and misinterpretation and determine which forms of tourism are permitted in which areas. If we speak about nature reserves, I believe the only kind of tourism possible here is educational tourism that does not require any changes to the territory, deforestation for further construction of linear facilities such as roads and power lines; tourism that does not require major construction projects. There could be hotels around the protected natural areas with daily tours. Or hiking, horseback and kayak itineraries for some enthusiasts, with minimum impact on the ecosystem. National parks are a different story. We know that, for example, Sochi National Park attracts a million visitors every year. There are cultural heritage sites, hotels and historically, the situation there is completely different. But for nature reserves what I said is, I think, the only possible and acceptable kind of tourism. And this must be regulated by the law. A draft law pursuant to your instructions I have just mentioned was indeed developed and it does solve many of issues raised today. The draft law allows qualifying a limited number of nature reserves as national parks because they do not meet the criteria of nature reserves. For example, Teberdinsky Nature Reserve with Dombai in the center or the Stolby Nature Reserve in Krasnoyarsk Territory, which gets 300,000 visitors per year. The national park mode of operation suits these territories better. The draft law also resolves the issue of allocating residential areas, which the representatives of the regions mentioned today. It is good that this very sensitive issue is discussed because for protected natural areas it would be highly irregular to deal with the local residents’ problems. But why on Earth should we restrict residents’ rights? They were born there and lived there all their lives. Suddenly this burden is imposed without them getting anything in return. It is not a good approach to turn the local population against the system of protected natural areas. 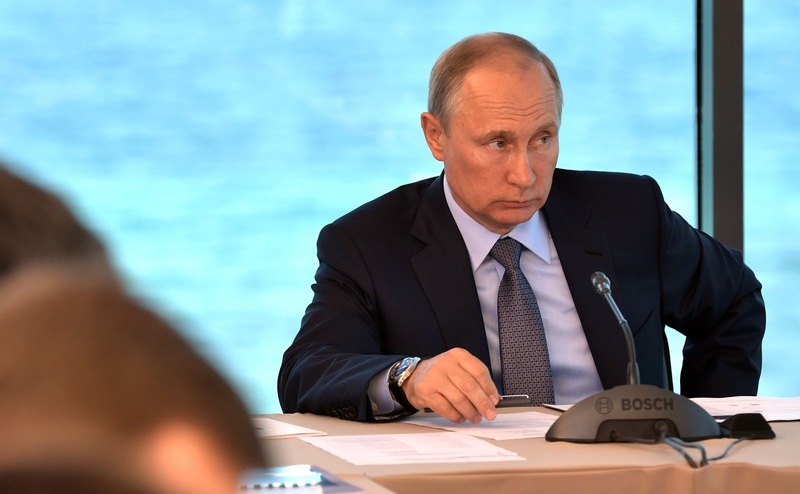 0 Comment to "Putin held a meeting on development of Baikal natural area."